So small, it fits in the palm of your hand! Is that what you want in a combat weapon?? That seems to be the trend. Dressed up in words like “easy to conceal”, “won’t know you’re carrying it”, etc. 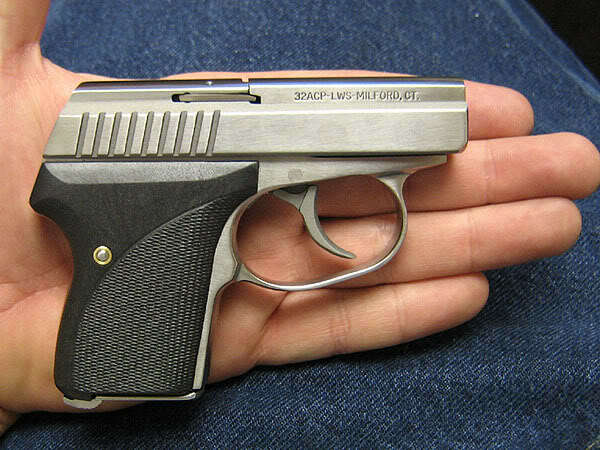 manufacturers promote small, slim handguns that don’t bother anyone. And that’s the problem. In my years of training, I have seen MANY students show up to class with their new, diminutive, “wunder-pistol” that they can hide ANYWHERE. Unfortunately, I have also seen many if not most of these disintegrate under training. Ejectors go flying. Triggers malfunction. I have actually seen a slide or two crack under the stress. On top of that, my students learn that when confronted with a life or death situation, requiring them to draw and employ a handgun, traits like “small, fragile, and low round count” are not necessarily what they want. If you must draw and shoot, then SHOOT. Ammo is cheap. Your life is not. One of my smaller framed students, handling a full framed Glock quite well! On the other side, I rarely see any malfunctions from some of the more reputable manufacturers have difficulties. I have NEVER had a Glock malfunction. Very few of the other modern combat pistols do either. I tell my students carry the LARGEST gun they can reasonably conceal. One that holds the most rounds possible in the largest frame that they can shoot well. And carry at least one, if not more, spare magazines. Because if you do need to shoot, you want the most gun you can have. “But I can’t carry a full size!” Of course you can (in all but the most extreme cases). Your weapon is meant to be a comfort, not comfortable. It will take some getting used to, but put it in a quality holster, with a quality mag pouch, untuck your shirt/cover it up, and away you go. Because if you DO need to draw your gun, you don’t want to wonder if it will work, if you have enough ammo, or if you just bet your life on the latest marketing scheme. 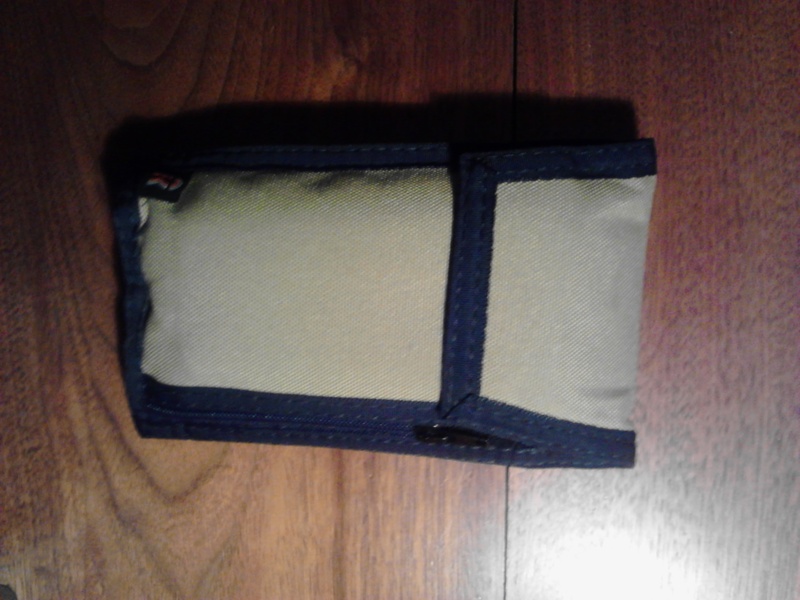 One piece of gear that is often overlooked is the mag pouch. Latest and greatest pistol… Check! A bag full of “the next best thing” holsters… Check! A thoughtful and tactical approach to carrying spare ammunition for that system? Often overlooked. 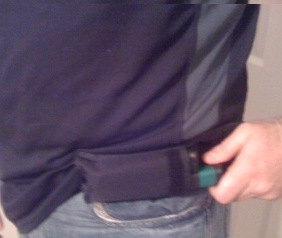 Most mag holders have to be hidden just as well as the weapon, because they immediately give away that you are armed! 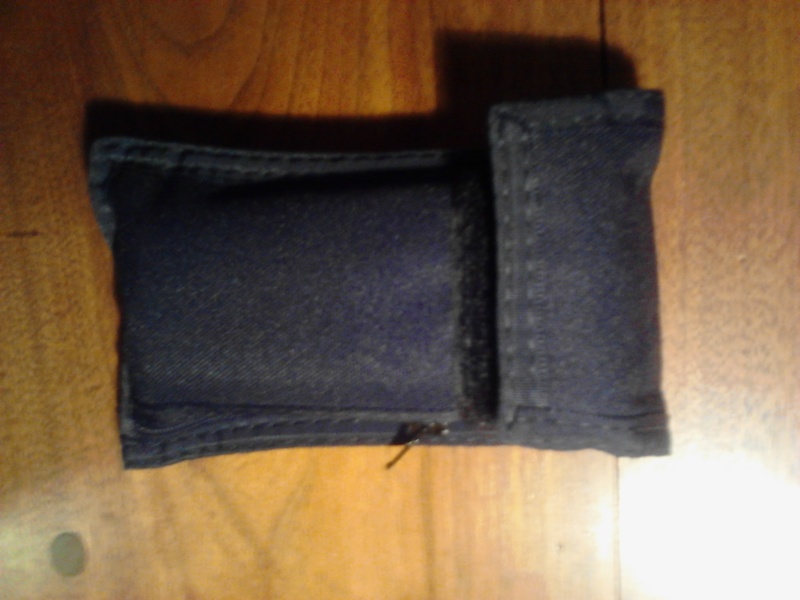 But a good magazine pouch/holder (like the Gray-Man sold by CBI) should look like a cell phone case, a Multi-Tool case, or a variety of other things. This eliminates the need to worry about concealing it at all! I have worn a Gray Man model for over 2 years, sometimes while speaking in front of large crowds, and NO ONE has ever made it for a magazine holder. Your system should also allow you to reliably and easily carry a reasonable amount of extra ammunition. How much is reasonable? It depends. Are you walking around your house? Out running? At the office? At least one, and usually not more than two or three extra magazines should do the job. You may need an entire magazine to suppress the enemy while you get to cover. That’s why the Gray Man easily holds two full size Glock/double stack mags. How about versatility? Sometimes I need a horizontal carry – bullets up. Sometime down. And sometimes I need it to be worn vertically. A good system allows all of these options. That’s why I designed the Gray Man to be worn horizontally or vertically, in a variety of configurations! 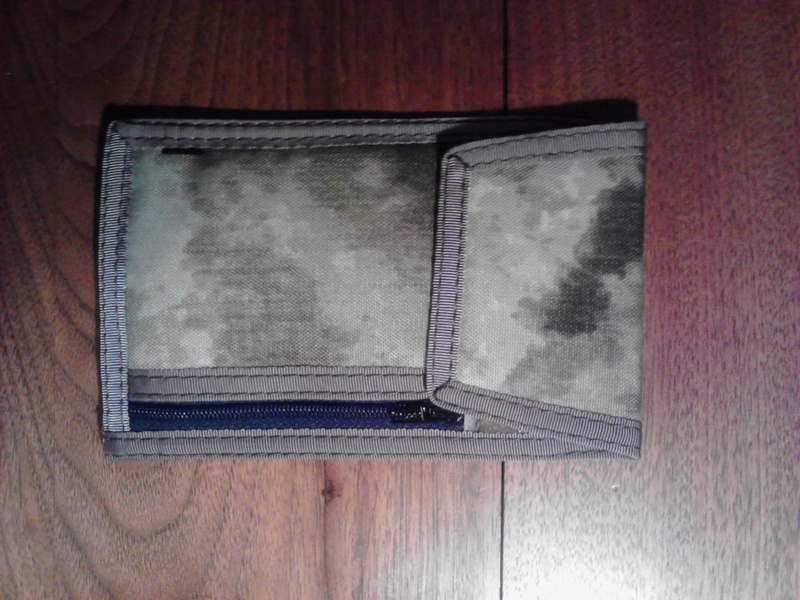 Tactical without looking it, the Gray Man Mag Pouch is a one size fits any situation tool! Now available in BLACK, Coyote/TAN, or A-TACS camo. A great deal at $14.99 Available here. Most states now allow some/qualified/all citizens to carry a concealed weapon with a license as an expression of their 2nd amendment rights. Yes, I know that if you have to have a license to carry it, we are on shaky ground calling it a right, but that is a conversation for another day. The patchwork of laws governing the carrying of CCW (Concealed Carry Weapons) is loose and poorly defined. And so are the training requirements. In several states on the Atlantic side of the country, for example, there are NO training requirements. 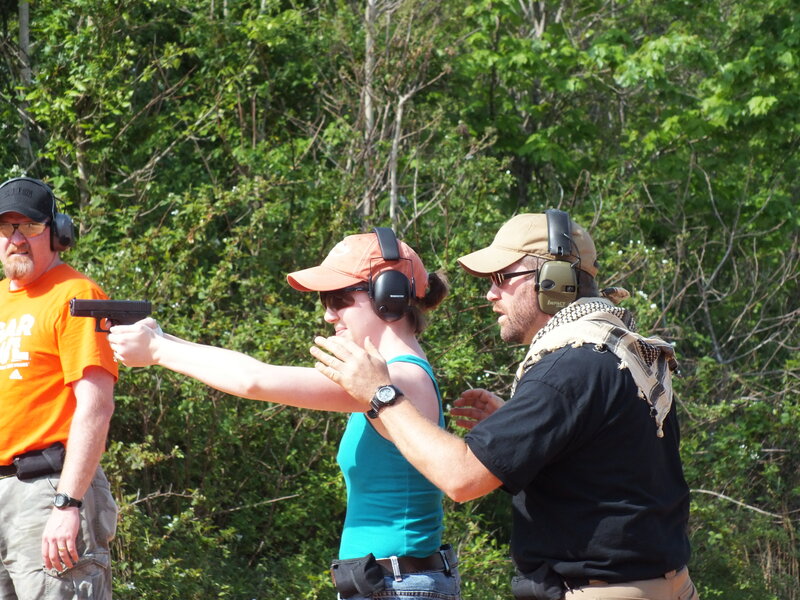 In Virginia, my home state, the training requirements are such that a safety course, without ever touching a firearm, qualifies one for a CCW license (called a CHL or Concealed Handgun License here). While I believe that training requirements are not Constitutionally legal (that’s another article all together), I also believe that it is every gun owners RESPONSIBILITY to acquire superior training. If you have the right to carry a weapon, and choose to exercise that right, then it is your responsibility to yourself, your family, and your community to know how to operate that weapon to the utmost of your ability. To do otherwise is irresponsible, lazy, and stupid. The irresponsible, reckless, and untrained use of a weapon can cause injury to uninvolved persons, the loss of your freedom, and the seizure of your fortune. In short… there are no up sides and no excuses. Some people won’t take the time or effort to pursue training. Some won’t spend the money. Some don’t see the need. For all of mankind’s history, one of our basic elements of existence is protecting our loved ones and our possessions from marauding hordes. This has required the training, time, and practice in some form of martial art with fist, stick, rock, blade, or gun. EVERY era has recognized this basic need. I can hear you behind your screen… ‘But Chris, we have the police now!’ Think about it. The police are a REACTIVE force. Anyone have a local police officer that is assigned to your living room? Your vehicle? Of course not. Something bad happens. Someone calls 911. The police have to process the call, and then respond. It takes minutes at best, and hours at worst. That’s the truth of it. The police are there to make sure it STOPS with the first victim. They CANNOT protect you from BEING that first victim. That is why part of being a moral, responsible, and free citizen is pursuing the age-old skill set of self defense. If we lived in 15th century Japan, I would urge you to get a sword. But this is 2012. Get a Glock (or a shotgun, or an AK…). Learn to use it well. Practice with it. And live as a peaceful citizen. In fact I would argue if you cannot afford the training and practice as part of the initial cost of the weapon, just don’t get one in the first place. Keep your head down. Hope someone is there to make war on injustice/violence/evil when it invades your life. And hope the police get there in time. Chris Bell International is going strong. We have trained A LOT of students to better be able to defend themselves and their families, to be better and more responsible citizens, and to feel more confident in their ability to stand firm and calm in the face of violence! 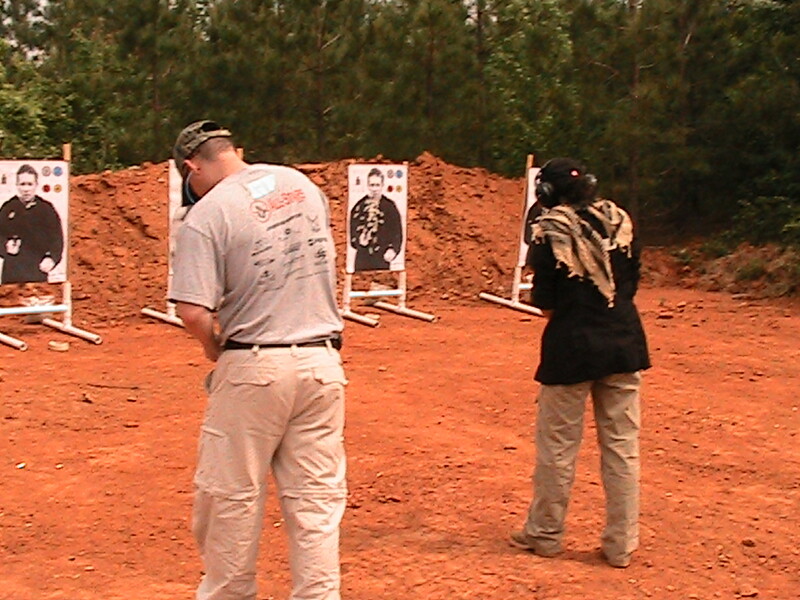 And we offer THE BEST VALUE in tactical training on the whole Atlantic and Mid Atlantic area! i have always preferred to run barefoot. after many years of barefoot martial arts, i much prefer to exercise that way. and when i run in running shoes, my legs often feel the effects of the heel-pounding. this video shows the effects of running barefoot and shod… basically shoes force you to run on your heels (heel strike) where the foot’s natural shock-absorbing actions cannot function. plus there is nothing quite as joyful as running barefoot. try it on some grass or sand – it’s just incredible! i was an early adopter of Nike Free back in 2004 when they first came out – a shoe designed to mimic the feel and effects of running barefoot, but they gave me blisters in the top of my arch. i have tried many different solutions and have never been completely satisfied. i love to run barefoot, but since most of my running is on trails, it often hurts… even with the soles of my feet hardened by my many years of martial arts. i think i have found a solution! i recently bought a pair of vibram five-finger KSOs (keep stuff out). you’ve seen them im sure – the shoes with the individual toe pockets. ive been told i look funny wearing them – but i love them! while the average running shoe has 35-40mm of loft at the heel, the vibrams have merely 6mm. so they feel exactly like running barefoot… but i am protected from the rocks, sticks, and pokey things that line every trail here in virginia. so i can cheat at running barefoot – enjoying all the freedom, the joy, and the tactile advantage of barefoot running without paying the price of footpain. i took them out yesterday in a really muddy bog… running in mud and water sometimes up to my ankles, and they never missed a beat. i could grip with my toes, jump over creeks and logs, hop from rock to rock, and never slipped once. Simplify the dishwashing – a dishwasher came in the house we rented but I don’t use it, and don’t allow my sons to either. Simply washing the dishes by hand as soon as the meal is over uses a lot less water and is much faster! By the time I would load and empty the dishwasher (and clean up the spots the dishwasher missed), I could have washed the dishes by hand, put them away, had some great conversation with those helping, and brewed a cup of tea! Simplify the cooking utensils – we have a small number of pots, one frying pan, and regularly use the 4 Ps to declutter the kitchen tools (spatulas, tongs, etc) The less you have, the fewer to clean, store, and maintain. And the simpler it is to find what you need when you need it. Simplify the preparation – cook simple meals at home. Eating out less improves your health and finances… besides eating at home is much more fun. Take the time to plan your meals and shopping for a week – or use helpful services like E-Mealz to help you shop and meal plan. Buy few packaged foods. Eat and prepare more fruits and vegetables. You don’t have to be Julia Childs – cook simple meals you and your loved ones will enjoy. And slow down and savor the experience of preparation. If you arrive home late, and are too tired to cook, then pre-cook several meals and heat them up when you get home. With a little thought and preparation there is always an answer! Flylady your kitchen! The flylady helped me when I was starting to investigate simplicity and minimalism. Do the dishes before bed so you don’t wake up to a messy kitchen in the morning. Shine the sink (a cool trick that actually works!). Keep all horizontal surfaces (like counters and appliances) clear of stuff. Everything has a place, and each thing should be in its place.